Hey guys! If you are seeing this, it means I am being consistent with my YouTube upload, and yay! In this latest haul video, I went through my purchase from NastyGal.com (ps: not sponsored! ), and talked about my experience with them, including shipping which I know most of you are curious about. It took around 2 weeks for my items to arrive to my doorstep using standard shipping, and they are shipped from the U.S to Germany then to Malaysia, via DHL and PosLaju. I've done quite some research on this topic before I made the purchase and it is known that you won't be able to track your shipping if it is standard once it leaves the States, but I found out something that could probably be helpful to those like me who gets anxious about my parcel's whereabouts. 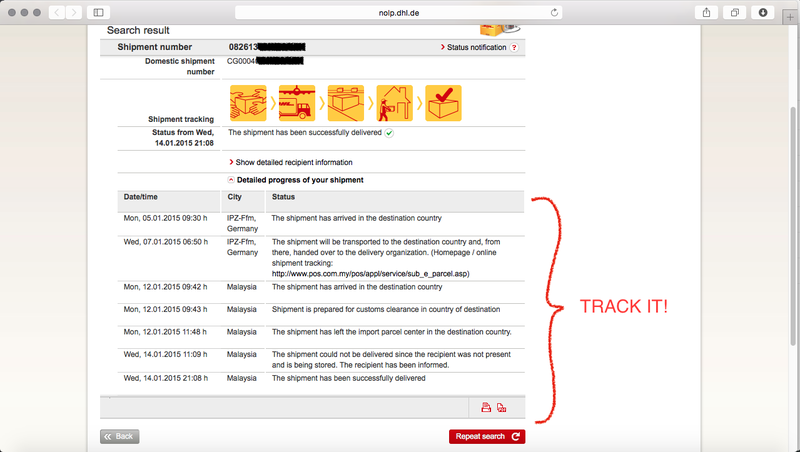 When NastyGal provides you with your tracking number, it will bring you to the DHL commerce tracking page, and you can actually click on the number I circled in red which will eventually be your PosLaju tracking number, and it will lead you to, I'm guessing, the German DHL tracking page. 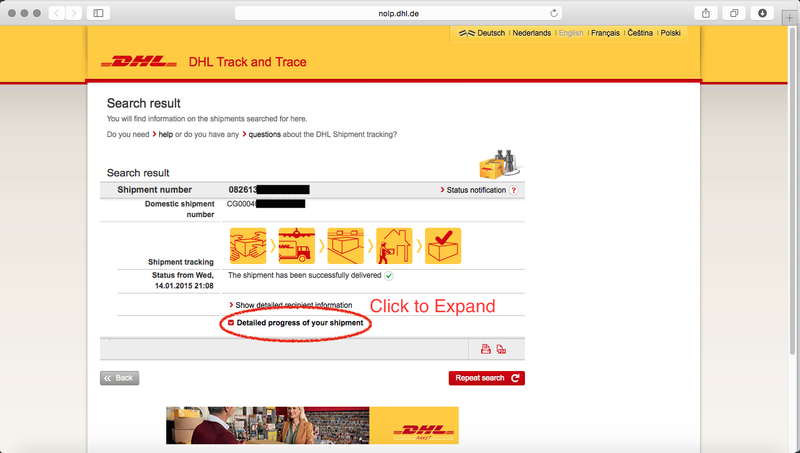 Once your package has left the U.S, the German DHL page will be updated and you can start tracking your shipment there. 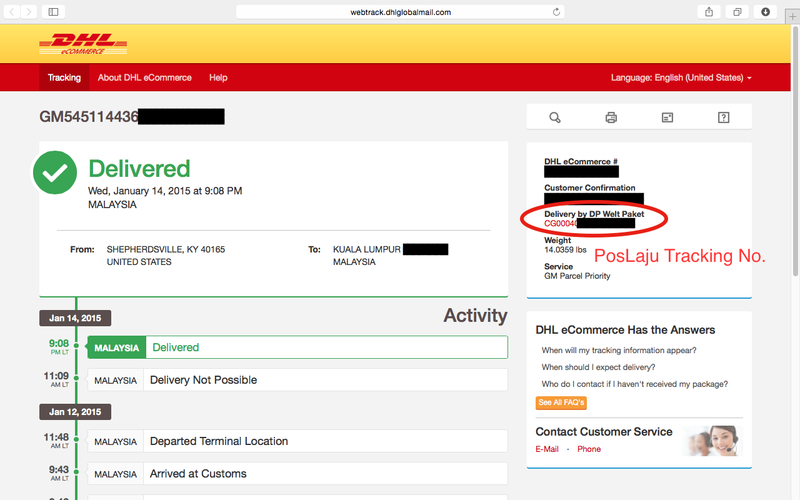 And when you see that your parcel has arrived in the destination country, that's when you can start using the PosLaju tracking number (circled in red earlier) on the PosLaju tracking page! Easy peasy right? I did not have any problems with customs and all that, which was one of the major factors I was worried about, but thankfully everything went smooth as butter. Sometimes I hate online shopping because I cannot bear with the unknown, not knowing where my parcel is, not knowing exactly when it is going to arrive. Anyhoo, I hope you enjoyed my haul video, hopefully not many more to come, because that would be very unfortunate for my wallet. LOL! Seriously though.